For the first time ever, I'm jealous of people who own a Wii U. The greatest 3D Zelda to grace consoles (why yes, I will continue to push my agenda, thank you very much) gets a HD update this week. But that's not all - between online GTA and basketball shenanigans, it's a bumper edition of Tuesday Game Room! 43 hours later, and I have finished Grand Theft Auto V! I won't go into anything particularly spoilerific, but I really enjoyed it. Michael is my favourite of the three characters, I thought the end game sort of took a sharp turn out of nowhere (suffice to say you are suddenly requested to make a very specific choice that feels both out of character and a sudden break from wherever else the story was going), and Franklin was underused, but it was still an incredibly fun game to work through. Great characters, a technically outstanding sandbox, fun mission variety - this was the next generation of Grand Theft Auto that IV should have been, to me. It's a cracking swansong for the PS3 and 360, that issues a very confident 'top that' to their upcoming successors. I've started playing GTA Online, too, which went live earlier this morning and surprisingly did not suddenly explode in a hellfire of server issues (it did about two hours later though. I blame America.). It's pretty fun! Here's my character taking a selfie, of course. It's GTA V, that's what you do! But yeah, aside from some really weird texture pop in during freeroam, it's a really neat experience - running around the city robbing stores or capping other players, the variety of the PvP stuff in terms of gametypes and maps is interesting. It's an enjoyable experience so far. There's two big releases this week: NBA2K14 hits the PC/PS3/360 trinity, bringing an end to this year's volley of sports titles (at least before the next generation ports hit! 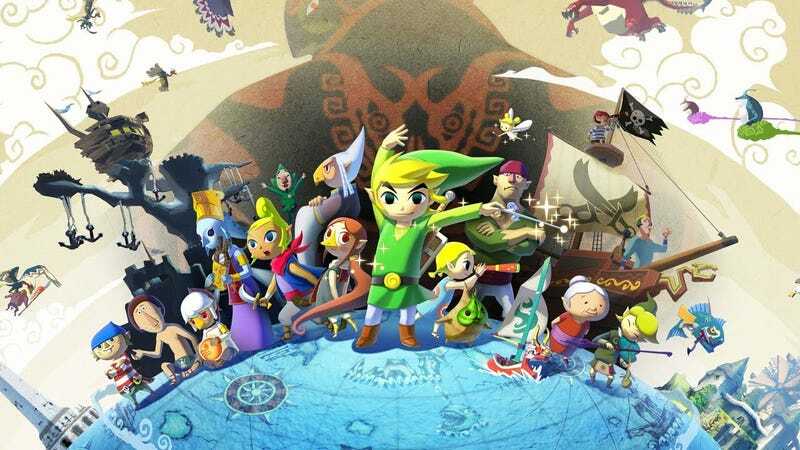 ), and, as mentioned up top, The Legend of Zelda: Wind Waker HD gets its physical release, giving Nintendo's ailing home console a much needed shot in the arm. Elsewhere, the PS3 gets an intriguing and gorgeous adventure game in Rain, from SCE Japan Studios, the 360 gets some Ubisoft bundles in Tom Clancy's Ghost Recon Trilogy Edition and Assassin's Creed Ezio Trilogy Edition, and the PC finally gets a port of the anime strategy RPG/dating sim Record of Agarest War (yes, you read those two genres correctly). Oh, and not to forget, Grand Theft Auto Online went live today, free for all owners of GTA V! If you can get on, that is. Precursor Games disbands after failing to secure cash for their Eternal Darkness sequel for the second time - Turns out that people are still reluctant to give Denis Dyack their money. A shame, perhaps, to judge Shadow of the Eternals on the drama behind its creators rather than on the game pitch itself, but with two failed cash drives, it's perhaps time to put hopes of a sequel to the seminal Gamecube title to rest for a very long time. Between this and CLANG, and the earlier DoubleFine adventure setbacks, it feels like we're starting to see the downside of the last year's Kickstarter 'revolution'... with plenty more high profile projects still to be released, it'll be interesting to see where it all goes. Sony says it will improve PSN's quality for PS4 after GTA V download chaos - After the multitude of errors and performance issues with last week's GTA V release, it's nice to hear that Sony are owning up to PSN's crucial flaws and looking to improve. With it essentially becoming a Paid service akin to Xbox Live Gold in the next generation, PSN simply has to be a significant upgrade from its current quality to rival Microsoft's pricey yet solid service. The battlegrounds of Xbox One and PS4 will be fought on the strength of their online ecosystems, and as it stands, PSN is far from being up to scratch. The enhanced version of Square-Enix's traditional JRPG, Bravely Default, makes its way to Europe this year - *Gasp* Look! A game coming to Europe before the US! I don't know what's gotten into me this past week, but I've had this deep yearning to play a new, traditional JRPG: turn based battles, a medieval fantasy aesthetic, the sort of thing in the vein of Final Fantasy IX. It feels like such a long time since there's been a JRPG like that, so step forward Bravely Default (or, as this version of the game will be known in Japan - Bravely Default: Flying Fairy - For the Sequel! How delightful). Very much looking forward to this one. Robert Kirkman celebrates The Walking Dead's 10 year anniversary with a two week Game Jam - I had no idea that The Walking Dead comics were a decade old... that's startling to me, but the idea of an 'official' TWD game jam contest could lead to some cracking games set in the Comic universe. As long as entrants err towards Telltale Game's TWD adventure games, rather than Terminal Reality's loathsome Survival Instinct.